Jerusalem - A U.S. student’s court victory against the Israeli government’s attempt to bar her from the country may prove only a short reprieve in the “battle” over a law targeting some pro-Palestinian activists, one of her lawyers said on Friday. 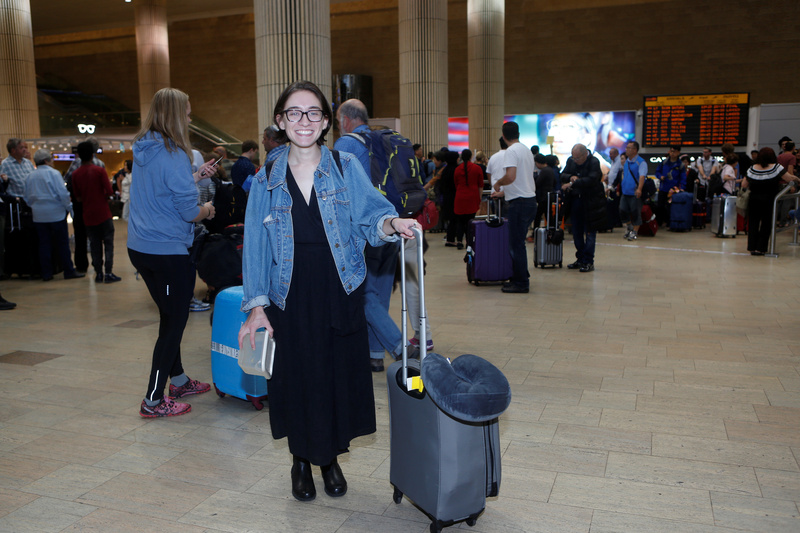 Lara Alqasem, 22, was allowed out of Tel Aviv airport on Thursday after Israel’s Supreme Court overturned her Oct. 2 detention there on suspicion of being active in the Boycott, Divestment and Sanctions (BDS) movement - charges she denied. The case has touched off a debate in Israel over whether democratic values were compromised by the 2017 law that bars the entry of foreigners who publicly support boycotts of Israel over its policies toward the Palestinians. Israel’s government slammed the Supreme Court ruling as short-sighted. But a lawyer for Alqasem, who is of Palestinian descent and a former president of a small local chapter of the Students for Justice in Palestine group at the University of Florida, hailed the ruling as “an incredible day for Israeli democracy”. “We’re celebrating, but yesterday was an intermission and the battle goes on,” the lawyer, Leora Bechor, told Reuters. Bechor said Israeli legislators appeared poised to draft even tougher laws against suspected pro-Palestinian boycotters. “The court decision rules that thought-policing has zero place in Israeli democracy. Unfortunately, the court decision fell on deaf ears,” she said. Alqasem, who was due to enroll for a year-long master’s program at Jerusalem’s Hebrew University, voiced relief, in a brief statement issued by her lawyers, at being let into Israel. Some BDS activists say they aim to promote Palestinian rights. Others advocate Israel’s elimination. Israel describes BDS as anti-Semitic. Gilad Erdan, one of the Israeli security cabinet ministers charged with implementing the anti-boycotter law, suggested that Alqasem’s studies at an Israeli university were no guarantee against future BDS activity. “We will examine the legal criteria in order to ensure that the original intent of the law is maintained,” he tweeted in response to the Supreme Court ruling.